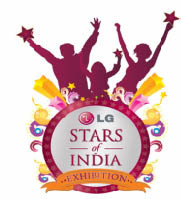 LG Electronics have recently launched the “Stars of India” a series of world class products specially designed for India. Equipped with advanced features, these ‘Stars of India’ products will prove to be a real advantage in every sense of the word for the Indian consumer. To highlight the essence in these products this Exhibition aptly named “Stars of India Festival” is taking place at Mahaveer Bhavan, Hindwadi, Belgaum from 31st July to 2nd August 2009. While you always enjoyed big and clear picture on your LCD TV, your wish for an equally incredible sound was always unfulfilled. Promising you a wholesome entertainment experience LG came out with Jazz with 500 watts PMPO of great sound, “Stereo Center Speaker” with 3.1 channel effect for live sound effect & speakers which slide out smoothly from the left and right side when you turn it on, Adding to the audio delight further. Making the daily washing procedure simple LG’s unique Top Loading Washing Machine comes with the first-of-its kind audio assistance speech technology. The feature available in both Hindi as well as English guides one through the entire washing process. For the health conscious consumer, LG has come up with new range of frost free refrigerators which has a vegetable storage box called vitamin plus which constantly releases vitamins ions preserving Vitamin C up to 70% in vegetables and fruits compared to an ordinary Veg Box. Adding more utility value are features like ‘one touch ice tray’, separate Beauty & Care compartment, freezable microwave box and a additional Convertible box which gives the consumer a flexibility for storage of fresh vegetables as well as frozen food items hence giving more space for storage. In the process of making all your celebration loud even when you are mobile LG GM200 comes with the ‘Star Feature’ 2.1 Ch Stereo Woofer with Dolby sound. For uninterrupted conversations your perfect partner is KP199 with 11 hours of talk time. So be it an important discussion, a spiced up gossip or simply chatting through the night, one can just go on and on and on. To avoid waking up in the middle of the night to switch between the AC and the ceiling fan LG has introduced the Aero Comfort System. The remote control is programmed to regulate both the AC and the ceiling fan. Switch off the AC and speed up the ceiling fans flow when the desired temperature is achieved. Apart from convenience this also cuts down the electricity bills.